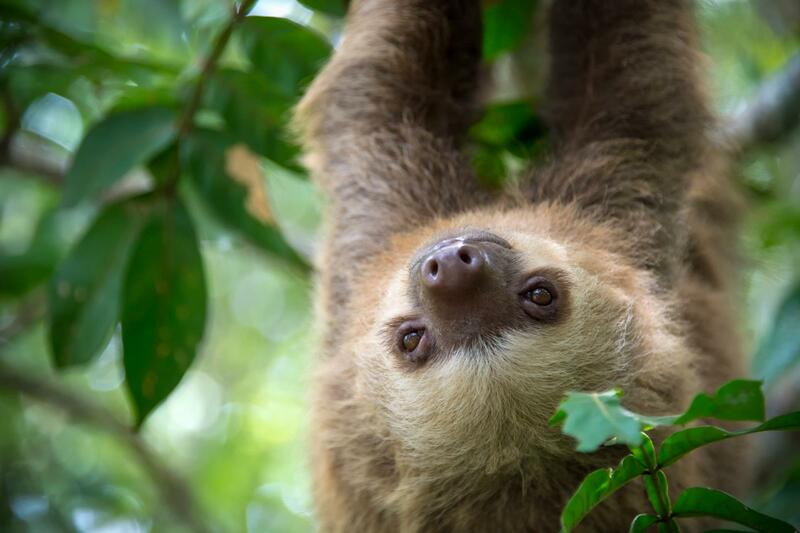 Wild Costa Rica – The Great Canadian Travel Co.
An absurdly colourful country with the faunal volume turned up – this tour will captivate, offering an earful of the exotic. Capuchin monkeys rustle the dense jungle canopy as Green macaws squawk overhead and an army of leaf-cutter ants patrol the forest floor. Arrive into San José anytime this morning or afternoon. Free transfers are available to the hotel where, this evening, you have the opportunity to meet your guide and get to know your fellow travellers. Your adventure begins early this morning, leaving San Jose behind as you travel to the Northern Lowlands of Costa Rica and your destination: Boca Tapada. Located on the San Carlos River, this area is highly regarded for its tranquillity and beauty. Our eco-lodge is nestled amongst the Maquenque National Wildlife Refuge and has just 15 bungalows, each with a balcony overlooking the large lagoon. 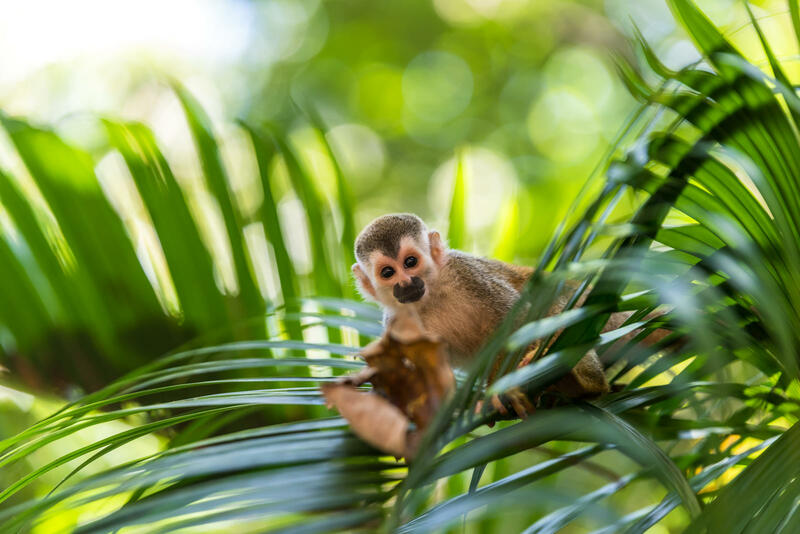 The surrounding rainforest and wetlands have been designated as a biological corridor and provide habitat for sloths, Howler monkeys, White-faced Capuchin monkeys and over 500 bird species, of which the endangered Great Green macaw is one and has an important nesting site here. This afternoon is at leisure to settle into the eco-lodge, before joining a night walk on private trails to see a different side to the forest. After breakfast you will set off on a nature walk in the San Carlos Rainforest on one of the trails surrounding your eco-lodge. Your naturalist guide will help interpret the fauna and flora found in this area. There is also a botanical garden and medicinal garden located in the grounds of your eco-lodge, which are very interesting to visit. In the afternoon you will take a boat safari on the San Carlos River. During this 3-hour excursion you will travel downstream, towards the Nicaraguan border, where there is a chance to stop and visit the small town of Boca San Carlos. During the tranquil boat safari it’s likely to see crocodiles, tortoise, herons, kingfishers and possibly even sloths, monkeys and hawks. 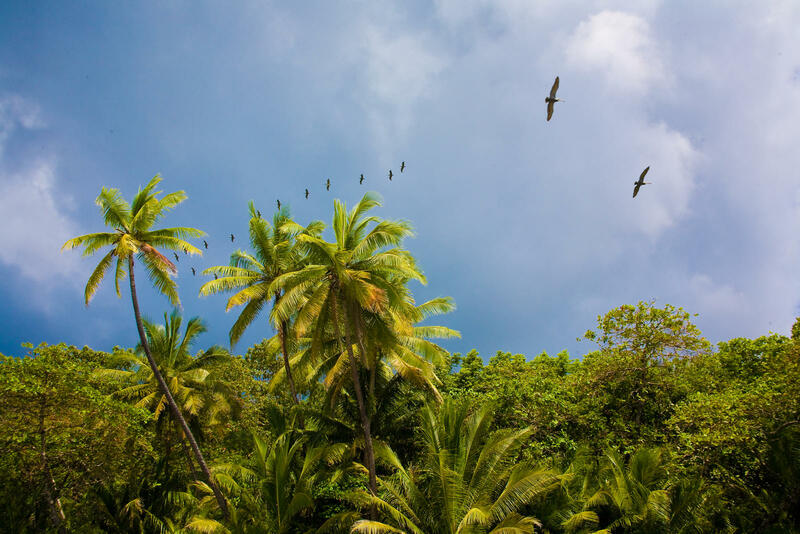 From the steamy rainforest around Boca Tapada you will be transferred to the cooler climate found in the area of San Ramon, where the Los Angeles Cloud Forest Reserve is located. This area is regarded as one of Costa Rica’s best kept secrets! Located on land once owned by a former president, this mostly private park offers the chance to visit a serene and peaceful cloud forest with low visitor numbers – it’s common to spot more wild animals than other tourists here. Howler monkeys, coatimundi and an impressive bird list of 258 species are just some of the wildlife found here amongst the mist. This afternoon you will enjoy a nature walk in your new surroundings. Today you will travel towards the Central Pacific of Costa Rica – your destination is just moments from Carara National Park and the mangroves of the Tarcoles River, a wildlife haven around the otherwise developed area of Jaco. 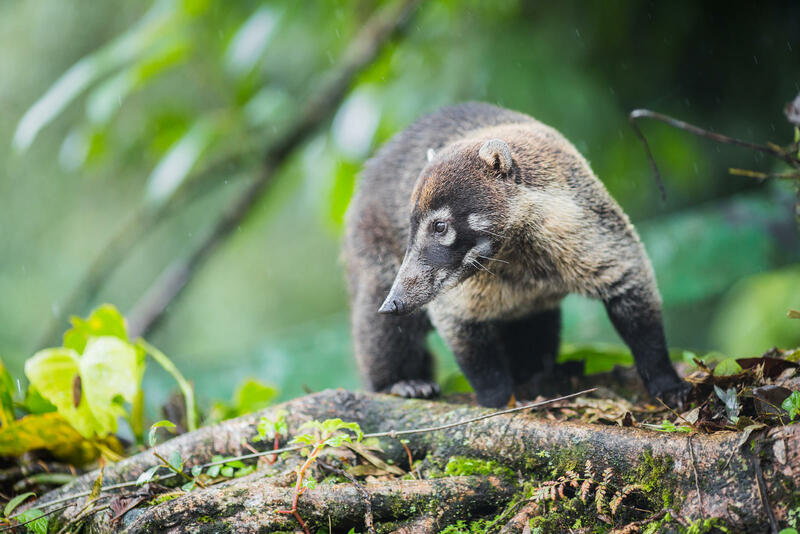 Carara is a transitional forest where species of dry and tropical forest meet, resulting in a wonderful diversity of fauna and flora – White-faced Capuchin monkeys, sloths, peccaries, agoutis and coatis are just some of the species you may encounter here. 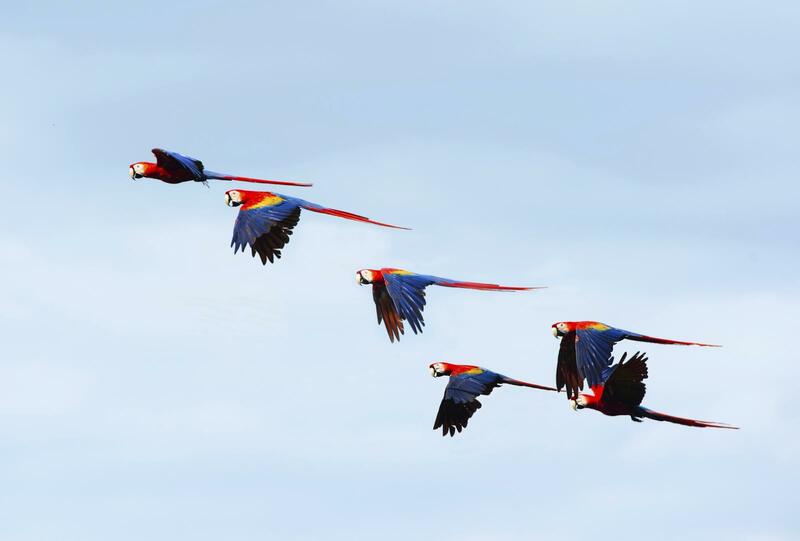 As one of Costa Rica’s most popular national parks, Carara is a favourite with bird watchers – see if you can spot a Scarlet macaw. Its position in the transition zone means that species of both dry forest and tropical forest are likely to appear. Being located near Tarcoles River and its mangrove system also provides a lot of diversity and there are some of the tallest rainforests in the country found here. With your guide you will discover some of the walking trails in Carara today, before continuing to your eco-lodge resting amongst the hills and forests of Cerros de Turrubares. This morning you will take part in the Guacalillo Estuary and Tarcoles River boat safari, a tour designed to introduce you to the incredibly bio-diverse mangrove system found in this part of the Central Pacific. One of the largest populations of crocodiles – some measuring up to five metres in length – can also be found here. This mangrove and river system is a very important habitat for birds, with kingfishers, heron, Roseate spoonbills and Scarlet macaw often sighted here. In the afternoon you will enjoy a birdwatching walk on the private nature trails surrounding your lodge. Set between the humid tropical forest and pre-montane forest this area has an abundance of bird species which your guide will help locate and identify. The day begins with a rainforest nature walk at Hacienda Baru National Wildlife Refuge – 330 hectares of wetlands, secondary rainforest in the lowlands and primary rainforest in the highland costal ridge. There are numerous walking trails and 3kms of pristine beach to be discovered. You’ll spend around two hours at Hacienda Baru with your naturalist guide, before transferring to Puerto Jimenez, the largest town on the Osa Peninsula. From here you will be met by 4WD vehicles to transfer to your eco-lodge in the wilderness, near the captivating Corcovado National Park. This region is very remote with limited road access. When National Geographic describes an area as ‘the most biologically intense place on earth’ it has to be worthy of investigation! This morning you will leave the lodge by vehicle to Carate and then walk on the beach for 30 minutes to your entrance point to Corcovado National Park. 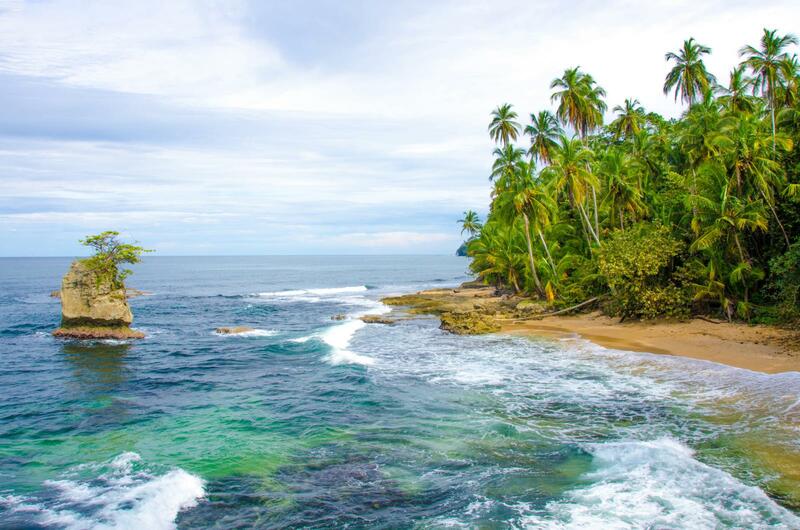 This is undoubtedly Costa Rica’s most secluded and tranquil region. 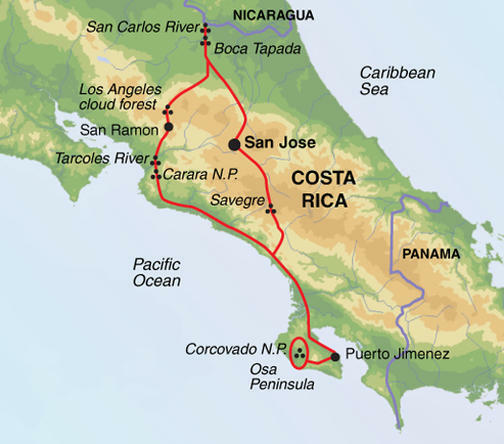 Protecting around one third of the Osa Peninsula (some 164 square miles), Corcovado is Costa Rica’s largest national park and encompasses 13 major ecosystems across various elevations, with montane forest, cloud forest, freshwater and mangrove swamps being just some of these. 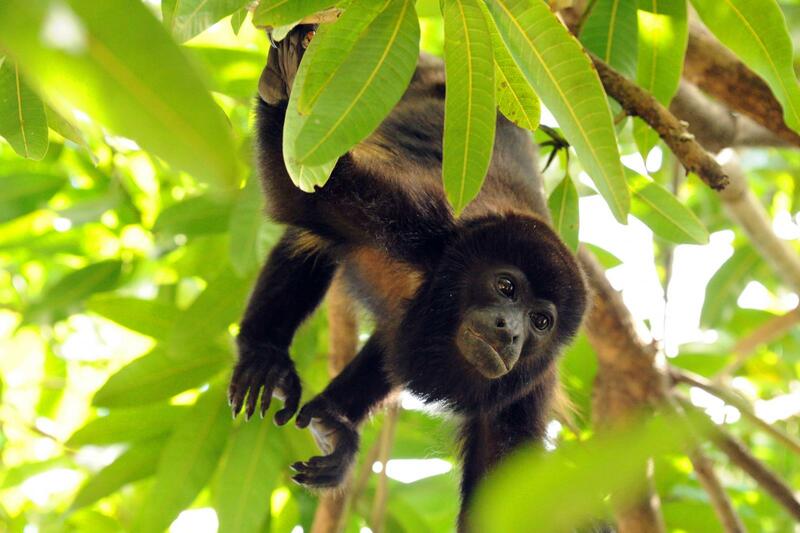 Scientists have recorded half of all of the species in Costa Rica on this peninsula alone. On today’s hike along the parks trails you may see all four of Costa Rica’s monkey species (Squirrel, Howler, White-faced Capuchin and Spider monkeys), tamandua (anteater), two and three-toed sloths, peccary, tapirs (including the endangered Baird’s tapir) and of course many reptiles, insects and amphibians. Puma and jaguar are known in this area but very difficult to see. With over 500 tree species, the bird count stands at an impressive 365 and the park protects the largest population of Scarlet macaws in the country, which can frequently be seen and heard flying overhead. Today is free to discover the enchanting and pristine environment of your wonderful eco-lodge in the heart of the rainforest. 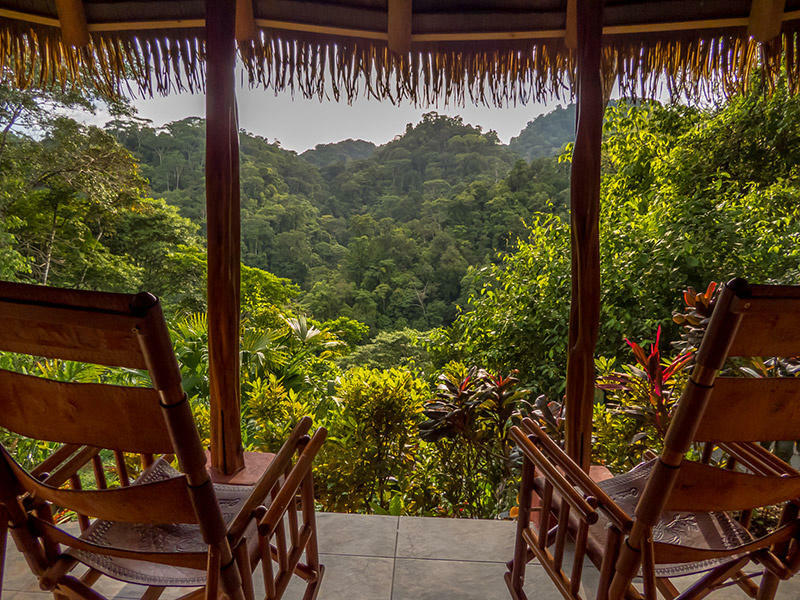 Luna Lodge is adjacent to Corcovado National Park and is set within 60 acres of private tropical wilderness – from here you’re completely surrounded by nature. The remote beaches of the Osa Peninsula are also major nesting sites for sea turtles (Olive Ridley, Green turtles, Hawksbill and Leatherback). We recommend joining one of the local excursions available directly from Luna Lodge, or simply relax, awaken your senses and discover why the world is wild about Costa Rica! After breakfast you will depart towards San Gerado de Dota and Savegre Cloud Forest. This is said to be one of the best places in the whole of Costa Rica to see the beautiful, colourful and notoriously shy Resplendant Quetzal and you will have two nights here to discover the region. These endangered birds rely on the cloud forest for their habitat – the males in particular are striking with a green crest, red breast and tail feathers that can reach a metre in length. A good pair of binoculars will be helpful for quetzal spotting as these birds camouflage themselves well amongst the wet leaves of the forest! Today is free to relax and explore Savegre Valley. Bring your binoculars to spot some of the 170 bird species, trek through the tropical cloud forest or simply relax in the grounds of the lodge. For those who are passionate about trekking, an optional tour to Los Quetzales National Park can be arranged to admire the tropical cloud forest and sub-Andean vegetation. Birds that may be seen in this area include hummingbirds, colibri, tanagers and trogons, while tapirs, sloths and Squirrel monkeys may also be seen. After breakfast your comes to and end and it’s time to say goodbye to the rest of your group and make your way to the airport to depart from Costa Rica. Alternatively, you may choose to extend your time in San José or travel on to another destination. This is a leisurely to moderate trip. If you are reasonably fit, enjoy the outdoors and are looking for some exercise, you will enjoy this trip. Some previous experience is preferable for these activity based trips.